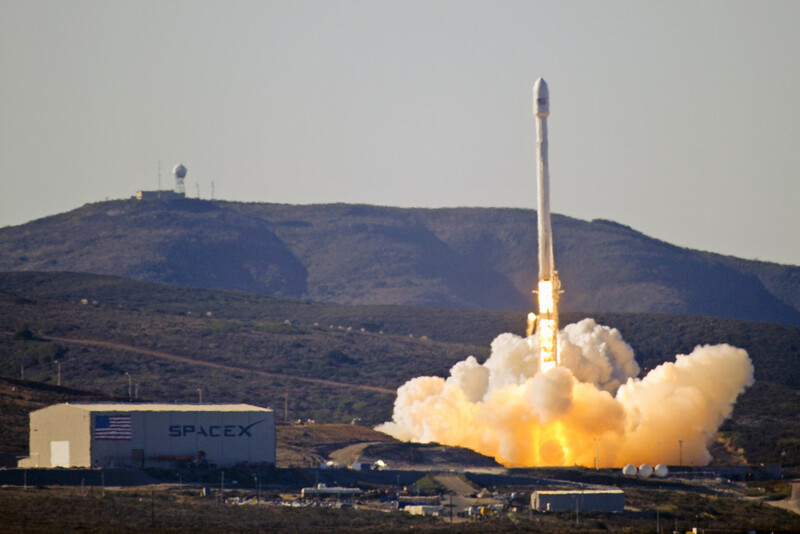 May 26, 2015 – The Air Force Space and Missiles System Center ‪has certified the ‪SpaceX Falcon 9 launch vehicle for National Security Space (NSS) missions. Today’s decision means that SpaceX, founded by Elon Musk, is now eligible to compete for national security launches. The government requires a certification process that subjects launch providers to rigorous and repeated testing and mission assurance procedures with government oversight. Launch-service providers must demonstrate the capability to design, produce, qualify, and deliver a new launch system and provide the mission assurance support required to deliver national security space satellites to orbit. Since 2006, Colorado-based United Launch Alliance (ULA) has been the only certified launch provider. ULA’s Atlas V and Delta IV rockets have had a 100% success rate launching national security payloads that provide critical support for weather forecasting, mapping, military communications, intelligence and surveillance. SpaceX certification is the culmination of a significant two-year effort on the part of the Air Force and SpaceX to execute the certification process and reintroduce competition into the Evolved Expendable Launch Vehicle (EELV) program. The Air Force invested more than $60 million and 150 people in the certification effort, which encompassed 125 certification criteria, including more than 2,800 discreet tasks, 3 certification flight demonstrations, verifying 160 payload interface requirements, 21 major subsystem reviews and 700 audits in order to establish the technical baseline from which the Air Force will make future flight worthiness determinations for launch. SpaceX’s first opportunity to compete is expected to be in June when the Air Force releases a Request for Proposal for GPS III launch services. This is the first of nine space launch missions that the Air Force plans to compete in its EELV Phase 1A strategy. ULA has said that it welcomes SpaceX certification and looks forward to competing with SpaceX and any new entrants. ULA continues to work toward reducing costs, with programs in development that include its Next Generation Launch System (NGLS), which was unveiled last month at the 31st Space Symposium in Colorado Springs. The new rocket, Vulcan, brings together decades of experience on ULA’s Atlas and Delta vehicles, combining the best features of each to produce an all-new, American-made rocket that will enable mission success from low Earth orbit all the way to Pluto. The new rocket will conduct its debut launch in 2019, with partial reusability gradually introduced in 2024. In the meantime, ULA has been under increased pressure by Congress to discontinue usage of the Russian-built RD-180 first-stage engine on its Atlas V launch vehicle and ULA has announced the retirement of its Delta 4, which is not financially competitive with the Falcon 9. This could leave a gap in the government’s assured access to space, diminishing competition and the requirement for a minimum of two distinct launch vehicles. ← Europa, Here We Come!